Confirming reports earlier this week from the man himself, American McGee's Alice brings its insanity to the Xbox 360 and PlayStation 3, with code for a free download packed inside every copy of its sequel, Alice: Madness Returns. 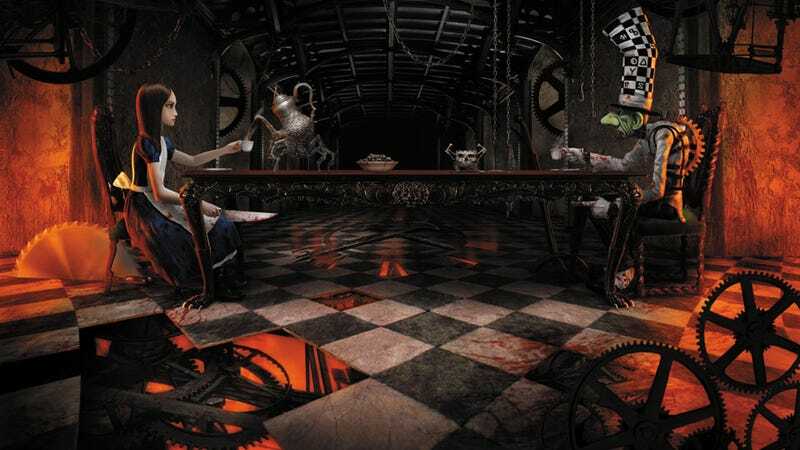 Released in 2000 for the PC and MAC, American McGee's Alice never made it to a video game console, which was a real pity, considering how much buzz the upcoming sequel is generating amongst the console crowd. EA rectifies this oversight by making sure everyone that purchases a copy of Alice: Madness Returns scores a free copy of the cult classic, delivering a double dose of American McGee insanity for the price of one. There is the slightest of catches, but one we're rather used to by now. The codes will only come in new copies of Madness Returns. Purchasers of used copies will have to pay 800 Microsoft points or $9.99 to download the original game through Madness Return's in-game menu. It will not be purchasable outside of the game. Stipulations aside, gamers that haven't played the first game are in for a real treat when Alice: Madness Returns arrives on the Xbox 360, PlayStation 3, and PC on June 14.